Grasp the full meaning behind the original Greek and Hebrew texts with the first-of-its-kind Amplified® Study Bible, featuring verse by verse study notes and the text of the newly revised Amplified translation. The Amplified® translation was created to deliver enhanced understanding of the rich nuances and shades of meaning of the original Bible languages. For this kind of study, no working knowledge of Greek or Hebrew is required—just a desire to know more about what God says in his Word. Now the updated Amplified translation is even easier to read and better than ever to study and understand. It includes more amplification in the Old Testament and refined amplification in the New Testament. Additionally, the Bible text has been improved to read smoothly with or without amplifications, so that the text may be read either way. It’s the same study material that Amplified readers love, now with even clearer wording for deeper understanding. A unique system of punctuation, italics, references, and synonyms to unlock subtle shades of meaning as found in the original languages. 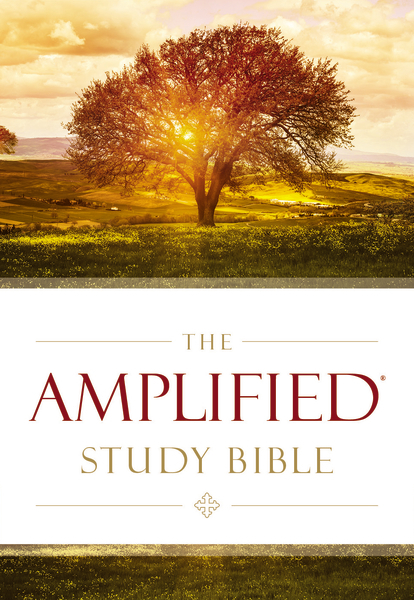 The Amplified Study Bible includes the Amplified Bible Text (2015 Edition) Bible text. Upgrade Pricing Available! If you've previously purchased a qualifying item, like the Amplified Bible (2015 Edition) or Amplified Bible Classic Edition, you can purchase this item for a special upgrade price. The upgrade price will be visible when you log in to your Olive Tree account and add the item to your cart (NOTE: Upgrade pricing is only available on www.olivetree.com, and not via in-app purchase).